Das die Tools nicht Verfügbar sind habe ich ja mitbekommen, von daher war deine Antwort eher nicht das was Ich erwartet habe. @biohazard Sieht momentan schlecht aus mit den tools. Alternativ wäre ninja ripper zu empfehlen, wenn du ein bestimmtes Modell brauchst. @all holidays incoming. Maybe I will create a HQ variant of an ATL Argon/ Gorgon but I'm not sure... Zorn is way more difficult because I can't create great looking textures from scratch but a Gorgon comes relatively close to a Zorn. DragonFire hat sie auf seinem Server, aber der gar keine Grafikkarte -> momentan nicht verfügbar. Imagine our Succubus in this environment! This is amazing! I hope it's even possible, it could take a lot of time and i report back if i got any news on this. It sounds indeed amazing! But would a Succubus not be way to big for this environment? I do not play GTAV, so I do not know how deep the water is. 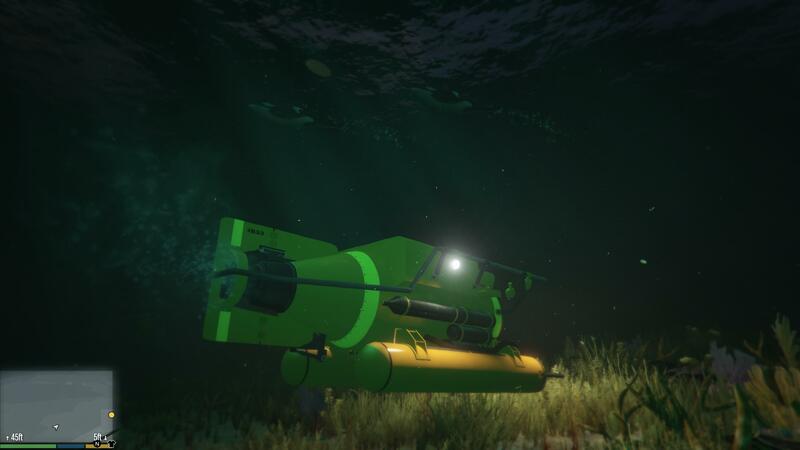 I don't have GTA V either (at the moment) but it's all about modding, believe me, water depth is the very last problem. I would do this in conjunction with new maps (I have plans for a GTA submarine warfare multiplayer server). However this is far, far away. I have to look into this first. Maybe it isn't even possible, maybe it's possible in 10 years, maybe never at all. From my first impression I'd say the waters are mostly shallow, although there are deep sea areas (one abyss in particular). Might be a little too confined for the Succubus if its is true to scale, but I will report back if I have explored it a little more. The water is quite convincing by the way, complete with transition to thick black darkness at a certain depth, limited visibility and all. Possibly the most natural depiction of an ocean I've seen in a videogame so far, not to mention the surface, waves etc. Hey guys, its me again. I am now able to open and convert the original Archimedean Dynasty sound files, i saved some of them already as .ogg vorbis file. I will use those files in my modding projects. Alle Zeiten sind UTC + 1 Stunde . Aktuelle Zeit: Mittwoch 24. April 2019, 06:50.